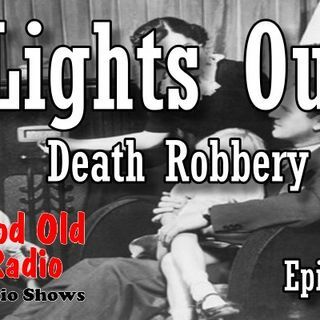 Today we feature Lights Out: Death Robbery. NBC station, WENR, at midnight Wednesdays, starting in January 1934. By April, the series proved successful enough to expand to a half-hour. tryout in New York City, the series was picked up by NBC in April 1935 and broadcast nationally, usually late at night and always on Wednesdays. the series had inspired about 600 fan clubs.